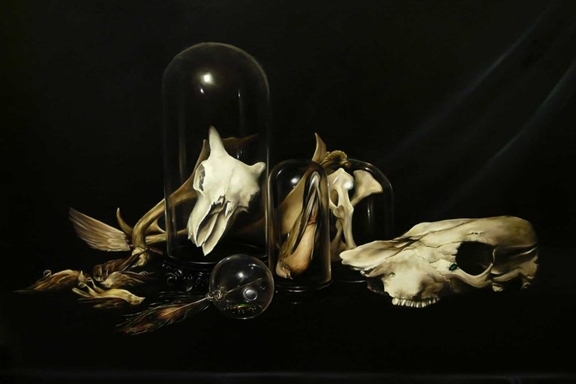 Michelle has been busy creating not only exquisite paintings but taxidermy pieces for the Gippsland Gallery with her delightful exhibition ‘Posthumous tablaux’. If you are in the area please do go in and view the delights of this exhibition and see the talents of one of our tutors. It is exquisite.